Ferrari World is a Ferrari themed amusement park on Yas Island in Abu Dhabi. The central park is situated under a 200,000 m² roof making it the largest indoor amusement park in the world. It is situated beside the F1 circuit at Yas Island. The theme park can be easily identified from the main road due to it's red roof with a big Ferrari logo. We went to Ferrari World right after our check out in Centro Hotel around 12 noon. It was Saturday so the park is not crowded . When I saw this structure only one word came out from my mouth: "WOW!!!" I just can't imagine how may bars of steels are used to built the park. The General Admission fee is 240AED and since I have Entertainer book I got the pass for buy 1 take 1. After taking our ticket we headed straight to different attractions. First Stop: Junior Training Camp. My hubby's child at heart came out here and guess what I have waited for him for almost 30 mins coz his still enjoying his game. A journey showcasing significant moments in Ferrari racing history. 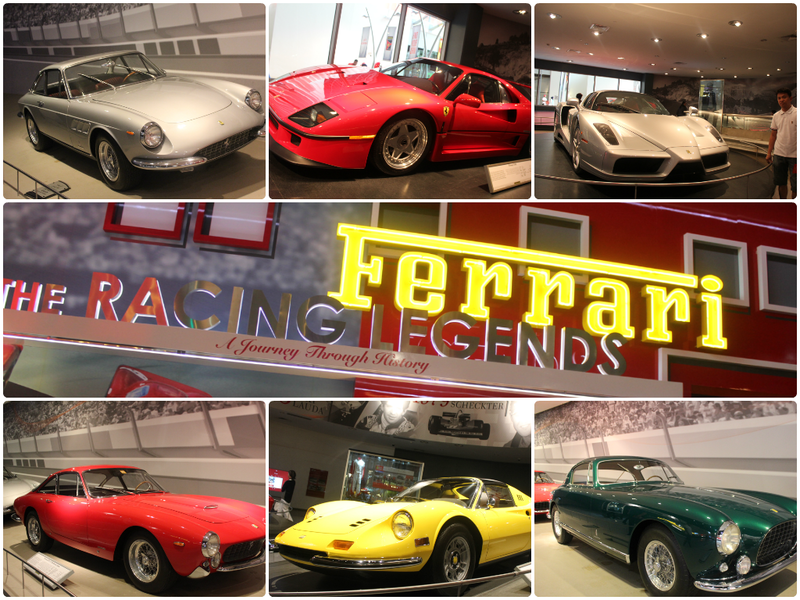 A museum of Ferrari from past to present were displayed and there is also a ride just like the Small World of Disneyland showing the history of Ferrari. fly high over the Italian mountains and villages, through the cities, forests, and vineyards on this epic journey through Italy! It is currently the world's fastest roller coaster, reaching a top speed of 240 km/h. While heading to "RED" looks who we bump in. Looks like he gonna squeeze me hahahha!!! is a 25-minute live show that pays tribute to the passion of Enzo Ferrari with shadow play, pas de deux performances, scarf dances, choreographed trampoline displays, juggling acts, German wheel sets, stunt skating and racing antics. After the show we headed to Fiorano GT Challenge. Another roller coaster ride but with milder speed than Formula one. 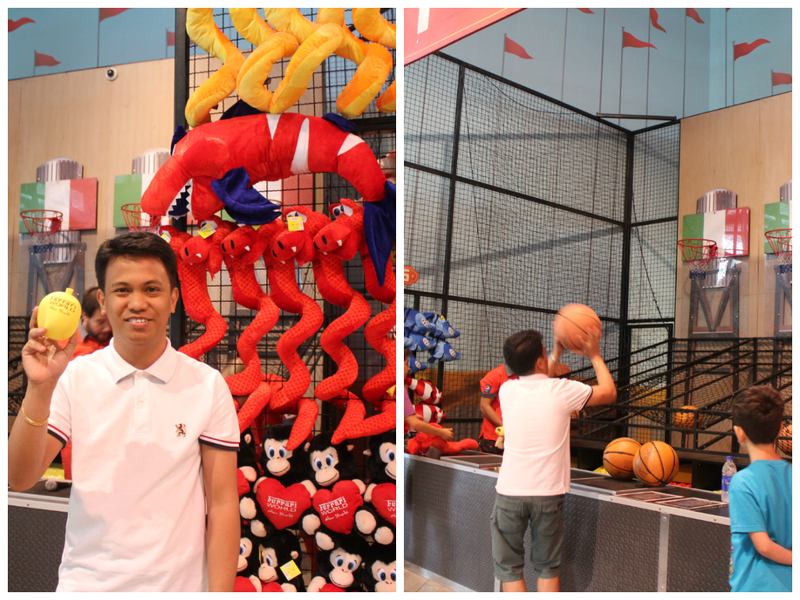 After the ride, my hubby can't resist to take some balls. And good thing at least we got a stress ball hahahha!! Ferrari experience is one of the getaway we will look forward to do again. It is fun and brings out the thrill and excitement every child at heart is always looking for.